Thanks to Terrie Lobb for having Party People Celebration Company decorate for your beautiful Daughters birthday for the last 3 years! This years theme Minnie Mouse! Due to rain the festivities were moved into the house and Garage! 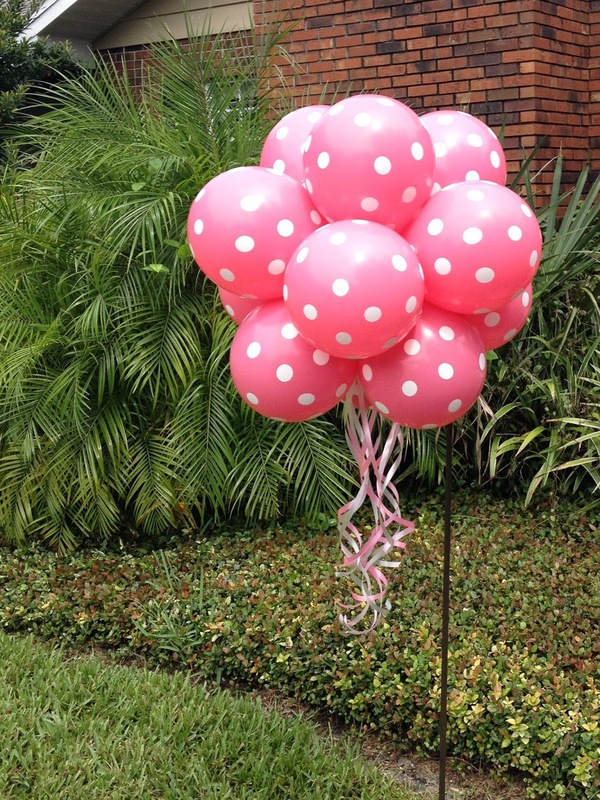 Balloon Topiary's are a fun way to Greet Guest as they arrive! 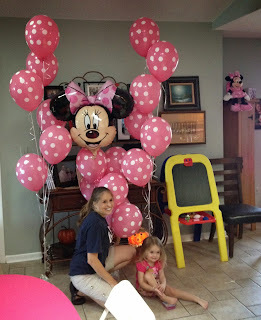 Birthday girl and Mom taking a quick photo with the helium balloons! 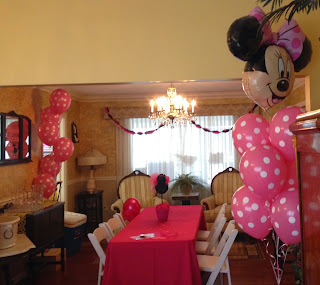 Minnie mouse Giant foil with clusters of Polka dot balloons create Birthday Fun! 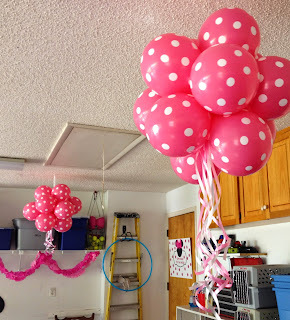 Balloon topiary's from the ceiling bring extra color to the Garage - transformed into party room! 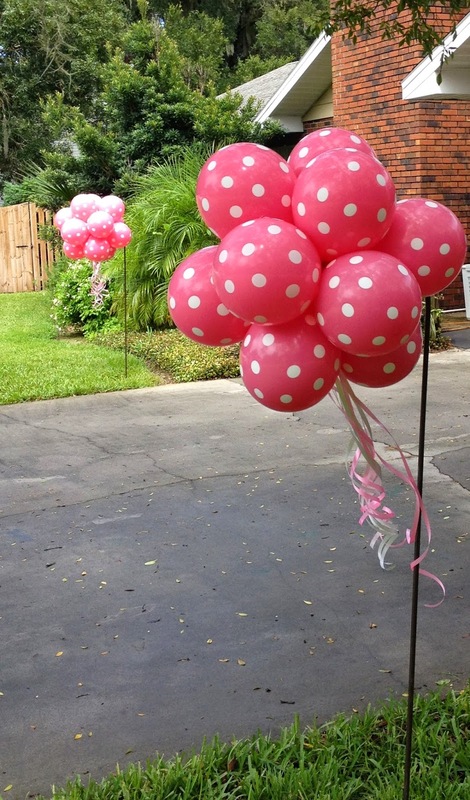 Party People Celebration Company is Located in Lakeland Florida, and travels throughout Central Florida and beyond to meet our clients needs. Call 863-255-2025 or email partypeoplecc@msn.com to have us create decor for your next special event!